About Us - Ameritec Machining, Inc.
A key part to developing relationships is communication. Keeping open lines of communication helps to minimize any potential issues. We welcome phone calls. Many times, it works great to have phone conversation about complex subjects and then follow up with email. Keeping current with information technology lets us support your needs beyond “normal business hours”. At the end of the day, customer satisfaction is most important. We realize this holds true for your business as well. Let’s work together to keep customers coming back. Ameritec Machining, Inc. was founded in 1992 by Richard and Joyce Walter. We started with a handful of employees in a 2,800 square foot facility. In 1994, we moved to our current location which was 26,500 square foot at the time. In 1997, we added 10,500 sq. ft. of assembly and warehouse space that included two docks. In 2009, we added 10,000 sq. ft. of dedicated warehouse along with two more docks. Our 2012 expansion included a 10,000 sq. ft. manufacturing area as well as expanding our warehouse by 7,500 sq. ft. We also took the opportunity to install updated AC/Heating units for employee comfort, humidity control, and the ability to hold tighter tolerances. Ameritec Machining, Inc. provides customers with high quality product, on-time delivery and continual process improvement. Providing a high quality product is our number one concern when producing parts for our customers. To help plan, execute, and measure quality, our quality system is certified to meet ISO-9001:2015 standards. Getting the right part, at the right time, to the right place helps our customers run their operations smoothly and efficiently. Many different parameters are measured in order to drive continual improvement of our system. We share these quality objectives with our team and provide them with information as to what they can do to help meet the goals. Also, we appreciate feedback from customers to ensure we are meeting your needs. Providing cost effective solutions for customers is our goal. When we provide a high-quality product on-time to a customer for every order they place, we strengthen a relationship that keeps customers returning with more projects. We would always like to have feedback from you on anything that can help us serve our customers in a better way. Our company is dedicated to customer satisfaction. Whether it is expanding our facility or updating equipment, we strive to exceed customer expectations. Having a facility that offers room for growth allows for efficient use of space while keeping things organized. Updated lighting throughout the older parts of the building and making use of the most current lighting technologies when expanding has not only resulted in positive comments from customers, but also increased employee comfort. Updating equipment allows us to remain competitive. Investing in high quality CNC machines is one key area that we credit with aiding in providing precision parts on a consistent basis. We try to translate our family culture throughout our organization. Having multiple generations involved in the business brings different views and allows for a diverse set of ideas to generate the best solution to any issue. Seeing everyone succeed is our goal. We hold meetings to pass along company updates and let our employees know that they are directly responsible for pleasing not just our customer, but the end user of a product. When we all have this same goal in mind, it’s teamwork at its best. Who would have guessed an addictive app would have so many variations, cartoon, and now a movie. 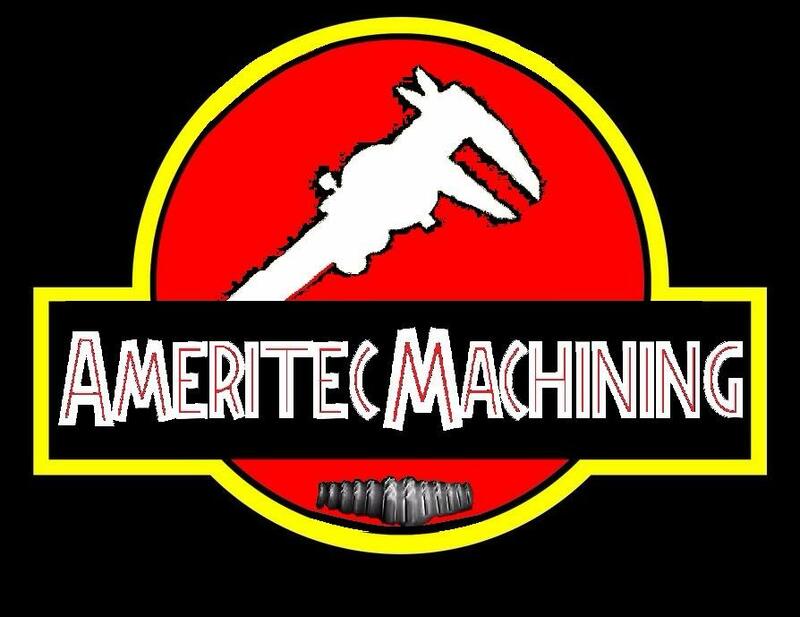 Here's the next movie themed Ameritec Machining logo. Pretty sure most people are pretty familiar with this one. I had fun making this... hope someone finds this amusing and it brings smiles to a few faces. 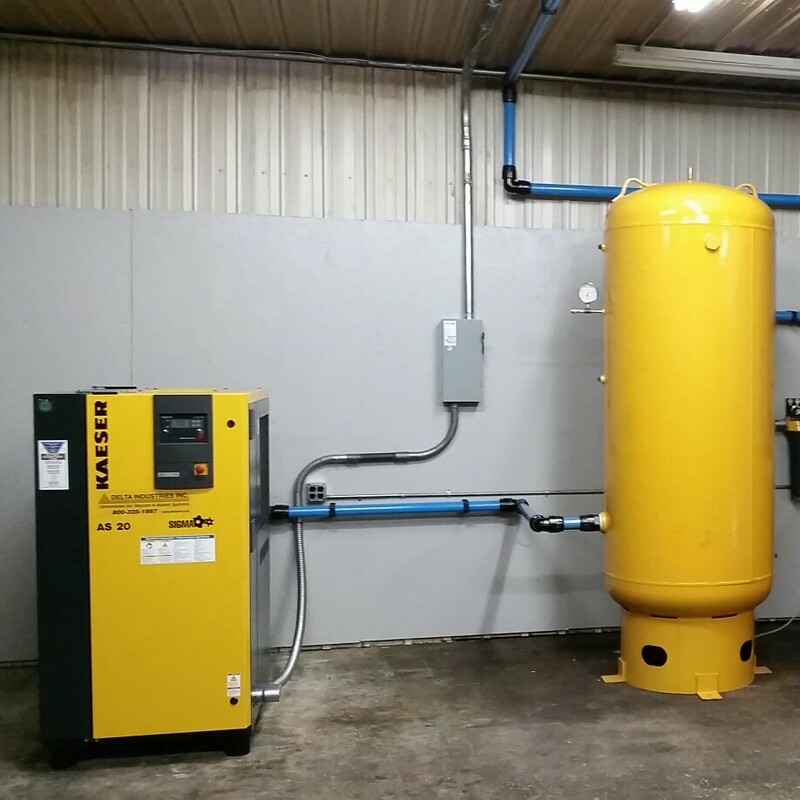 Upgraded air system to Kaeser AS20 compressor. In 1992, Ameritec Machining, Inc. was founded by Richard and Joyce Walter. We started with a few machines, a few employees, and 2,800 sq ft facility. Quality has always been our focus from the beginning. In 1994, we moved to our current facility. We’ve expanded many times over the last couple of decades. In 1997, we added 10,500 sq. ft. of assembly and warehouse space that included two docks. In 2009, we added 10,000 sq. ft. of dedicated warehouse along with two more docks. Our 2012 expansion included a 10,000 sq. ft. manufacturing area as well as expanding our warehouse by 7,500 sq. ft. We also took the opportunity to install updated AC/Heating units for employee comfort, humidity control, and the ability to hold tighter tolerances. Ameritec Machining, Inc. is located south of New Hampton, Iowa. With a team that is dedicated to customer satisfaction, we can offer solutions to your machining and assembly needs. Our methods allow us to bring value to your supply chain. This aerial shot was taken after adding the 100 ft x 100 ft expansion in 1997. Adding the docks with leveling plates was a much appreciated upgrade from our outdoor dock. Adding a Zeiss Contura G2 including VAST XXT RDS probe head with scanning to our inspection equipment helped to automate the inspection process. Along with expanding our production floor by 10,000 sq ft, we also added 7,500 sq ft to our dedicated warehouse space. This allowed for better organization. The team at Ameritec Machining, Inc. brings value as a supplier. Over 30 years of small business ownership. Founded Ameritec Machining, Inc. in 1992 with her late husband, Richard. 6 years of experience with Human Resources and Safety. Working with employees to manage benefits has helped to develop teamwork. Over 20 years experience in machining with 15 years experience in management, ISO-9001 implementation. customer relations, and quoting. Over 15 years in the manufacturing industry with the last 9 years in Quality Control. Coordinates productivity improvements and assists with quoting.